Jose Antonio Vargas, a journalist and undocumented immigrant, is joining forces with the Los Angeles Times to create a new section devoted to race, immigration and multiculturalism. 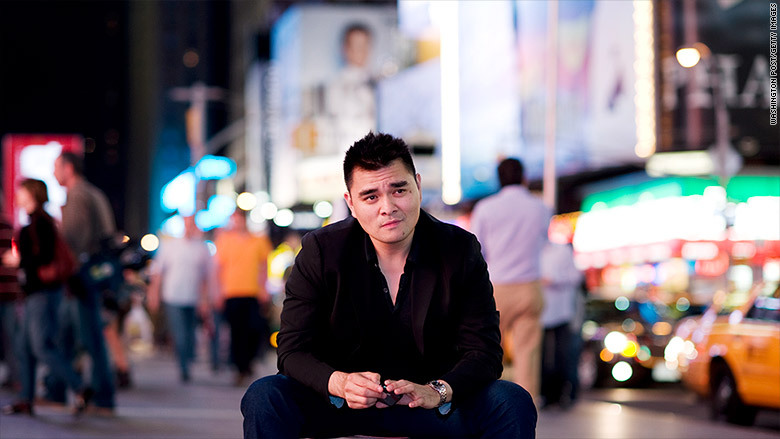 Jose Antonio Vargas, a journalist and undocumented immigrant, is joining forces with the Los Angeles Times to create a new section of the Times web site devoted to race, immigration and multiculturalism. The partnership will be called #EmergingUS and, in an unusual arrangement for a newspaper, it will be shared between the Times and Vargas. Austin Beutner, the publisher and CEO of the Times, said #EmergingUS is the first of several "verticals" of news coverage the newspaper will establish in the months to come. He cited the New York Times' DealBook section of mergers and acquisitions coverage and Politico's coverage of Washington as two examples of the approach he'd like to take. The name of the venture announced on Tuesday can be read two ways: as "Emerging Us" or "Emerging U.S." for the United States. Vargas said it is "a multimedia platform that, through articles, original videos, shareable data and graphics, will focus on the intersection of race, immigration and identity and the complexities of multiculturalism." Race isn't just about white and black, he and Beutner said, and immigration isn't just about the border. The new venture will try to capture those complexities. #EmergingUS will exist primarily on the web, but some of the work will eventually appear in the newspaper as well. The venture will produce videos and hold events. Since being appointed the publisher last August, Beutner, a former investment banker, has spoken of "unburdening" his journalists from print formats. The Times' web traffic shows "really high engagement" at the 100-word level and the 1,000-to-2,000-plus-word level, he said. "You find the dead zone in the middle, 500-700 words. That form factor, which exists in many newspapers, doesn't exist because Steve Coll and the Columbia Journalism School thinks 500-700 words is the best form factor. It's because five of those stories fit on a printed page. So we're unburdening our journalists from that format." Journalist is a key word. While Vargas has been an immigrant activist for several years, he has been a writer and reporter for more than a decade, and he said #EmergingUS "utilizes every skill I have" from those jobs. In 2008, while at The Washington Post, he was part of a team that won a Pulitzer Prize for breaking news reporting. Vargas moved to The Huffington Post in 2009. After he revealed his undocumented status in a 2011 essay for The New York Times Magazine, he created a nonprofit group called Define American aimed at "elevating the conversation" about immigration. The group sought to share stories from contributors who are undocumented, thereby attaching sympathetic faces to the fractious immigration debate. Vargas also directed and starred in a documentary about his experience, "Documented," which was televised by CNN last year. He is now working on another documentary, this one for MTV, about whiteness. Stephen Friedman, the president of MTV, said it will premiere sometime this spring or summer. "Jose has been very open about being undocumented and being -- both as a person of color, a person who's openly gay -- constantly questioned on his status and what it means," Friedman said. Because Vargas lacks citizenship, "it has been a unique challenge to figure out, legally, how we all make it work," Friedman acknowledged. Similarly, The Los Angeles Times can't hire Vargas directly, "but we can become a business partner with him," Beutner said. "So that's what we've chosen to do." #EmergingUS will include other staff members, some of whom may work directly for Vargas's production company. Vargas declined to comment on the ownership structure of the venture, but said "if #EmergingUS does well, then I do well." Beutner emphasized that Vargas is coming on board as a journalist, not an activist. "The point of view" of the venture, he said, "is that this is an important topic to be talked about. It's not meant to be advocacy, and it won't be advocacy. But the mere fact that we're telling more stories will change, we think, the way people view the topic."